If you're looking for some free, family-friendly fun this summer, why not come see a movie at the library? 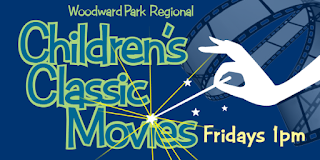 During June and July, Woodward Park Regional Library will be reintroducing many childhood favorites to a new generation. Moviegoers are encouraged to bring blankets and snacks.